From the thrilling car chase in Steve McQueen’s “Bullitt” to the final race in the original “Fast and the Furious” film, the Dodge Charger has long been a car that taps into something primal about speed. With the 2019 Dodge Charger, the iconic muscle car lives again with performance, handling, safety and comfort that the original Chargers of the 1960s just can’t match. Ready to buy a 2019 Dodge Charger in Fayetteville, Arkansas? Then stop in today at McLarty Daniel Chrysler Dodge Jeep Ram Fiat of Springdale and check out our unbeatable selection, or shop us online right now! ICONIC LOOKS: From the hungry front grille to the abbreviated trunk lid with integrated full-width spoiler, the 2019 Dodge Charger is a car that bleeds attitude from every line and curve. Inspired by the aggressive design of the second-generation Dodge Charger, including the available hood scoop designs and sculpted side-scallops, the 2019 Dodge Charger shows that it is a force to be reckoned with thanks to a chiseled sleek look that looks like speed personified even when it’s sitting quietly at the curb. Inside, a purpose-first dual-cockpit design invites you to strap in and get down to business, with room for five, while three driver-selectable driving modes — Normal, Comfort and Sport — let you dial in your drive. . 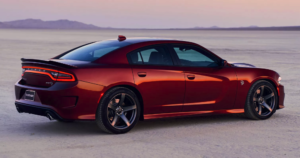 LEGENDARY PERFORMANCE: Dodge has been known as one of the world’s premier performance brands for decades, and the 2019 Dodge Charger is up to the challenge of its heritage thanks to four groundbreaking engines. Standard power is the 3.6-liter Pentastar V6, putting out a very respectable 300 horsepower while delivering fuel-sipping mileage. For more fun, check out the available 5.7-liter Hemi V8, with 370 horsepower and 395 lb.-ft. of tire-shredding torque on tap. Feel the need for more speed? Flex your muscles with the 392 Hemi V8 in the 2019 Dodge Charger SRT, with 485 horsepower and 475 lb.-ft. of torque. Still not enough? Then check out the 2019 Dodge Charger SRT Hellcat, with an astounding 707 horsepower and 650 lb.-ft. of torque! Whichever you choose, you’re getting reliable Dodge engineering and unbeatable Mopar performance. MODERN SAFETY: Keeping you and your passengers safe on the road should be the first and most important job of any vehicle, and the 2019 Dodge Charger does not skimp in that department, either. The 2019 Dodge Charger packs one of the most advanced and comprehensive suites of safety and accident avoidance packages in the business, including available full-speed forward collision warning with active braking, LaneSense lane departure warning, blind spot monitoring with rear cross path detection, and automatic high beam dimmer. Helping make sure you never need those systems is all-speed traction control and the 2019 Dodge Charger’s available all-wheel drive system, which automatically disconnects the front drive wheels when traction needs are low. Heard enough to know you’re ready to buy a 2019 Dodge Charger in Fayetteville, Arkansas? If so, come see us at McLarty Daniel CDJRF in Springdale! With our unbeatable selection of Dodge Charger models, friendly hometown deals and commitment to customer service and satisfaction after the sale, we have the 2019 Dodge Charger that’s right for you at a price you can afford. Stop commuting. Start driving! 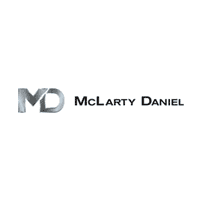 Stop in today at McLarty Daniel CDJRF in Springdale, or shop our big selection of 2019 Dodge Charger models online right now!